The Digital Research Library of Illinois History Journal™: Taking a horseless carriage for a spin on Michigan Avenue at 9th street, passing the General John Logan Memorial in Grant Park, Chicago, 1900. 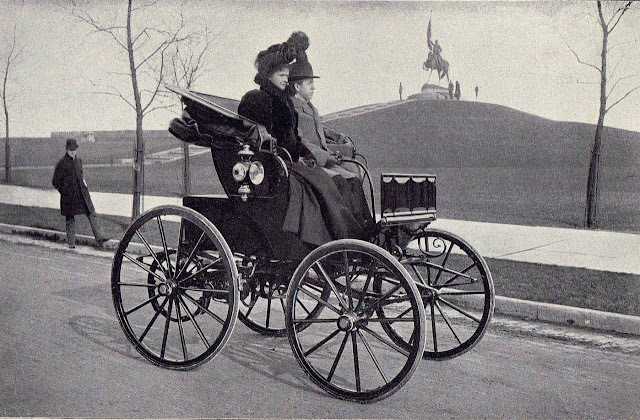 Taking a horseless carriage for a spin on Michigan Avenue at 9th street, passing the General John Logan Memorial in Grant Park, Chicago, 1900. Taking a horseless carriage for a spin on Michigan Avenue at 9th street, Chicago, 1900. 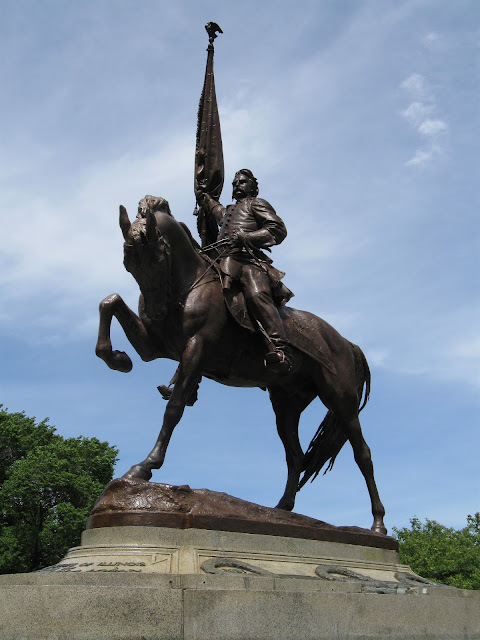 The Logan Memorial was sculpted by Augustus Saint-Gaudens (of 1893 World's Columbian Exposition fame) and Alexander Phimister Proctor and architect Stanford White, created during 1894–1897 and dedicated on July 22, 1897. Logan served in the Mexican–American War and was a general in the Union Army in the Civil War. 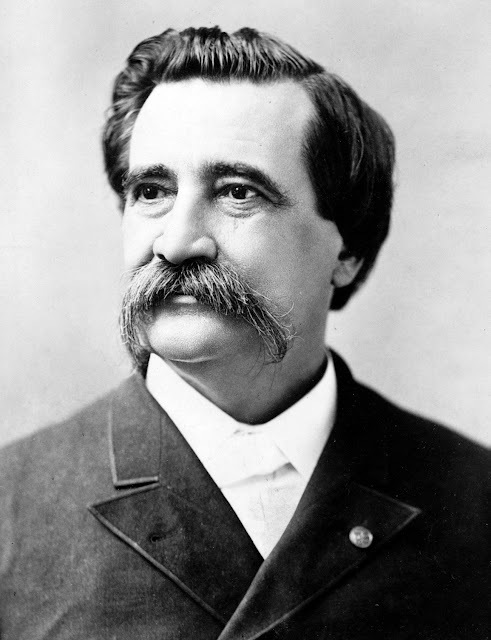 He served the state of Illinois as a State Senator, a Congressman, and as a U.S. Senator. 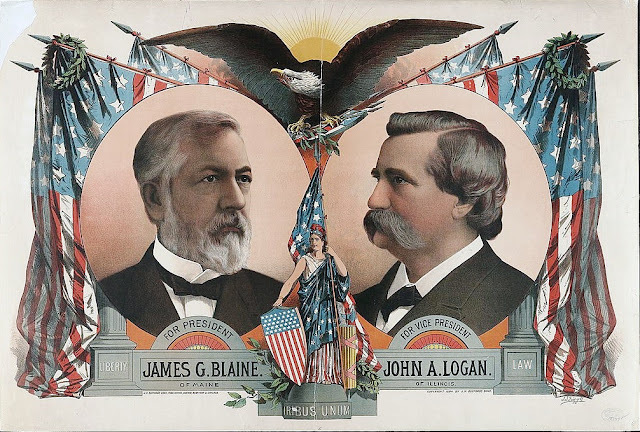 Logan was an unsuccessful candidate for Vice President of the United States with James G. Blaine in the election of 1884. As the 3rd Commander-in-Chief of the Grand Army of the Republic, he is regarded as the most important figure in the movement to recognize Memorial Day (originally known as Decoration Day) as an official holiday. Compiled by Neil Gale, Ph.D. The Digital Research Library of Illinois History Journal™ is rated PG-13. Please comment accordingly. Comments not on the articles topic will be deleted as well as advertisements. The Cicero, Illinois Race Riot of 1951. Lost Towns of Illinois - Africa, a settlement in Williamson County, Illinois. Fort Le Pouz (1729-1730), Joliet, Illinois. Lost Towns of Illinois - Rand, Illinois. Chicago as a Hunting Post. The Institute of Slavery in Illinois. Lincoln, the Illinois county that never was. The Kaskaskia Indian Reservation in Illinois. All photographs displayed in the Digital Research Library of Illinois History Journal™ are the property of their respective owners, unless otherwise noted. These photographs have been collected from public online sources which are considered to be in the public domain. If you are the copyright holder of a presented photograph and wish it to be removed, send an email to LivingHistoryOfIllinois@yahoo.com with verification of your legal copyright. Upon receipt, we'll remove the photo immediately. The Journal holds no copyright to the history text presented, unless otherwise noted at the bottom of each article. Information is compiled from a multitude of online and conventional sources. Because this Journal is a not-for-profit and is not academically funded, plagiarism is a non-issue. We do not sell these stories or photographs. As an online only history resource, we do not give lectures. The presentation of these articles is for the education and entertainment for the general public. See other items available in the Illinois History Store. 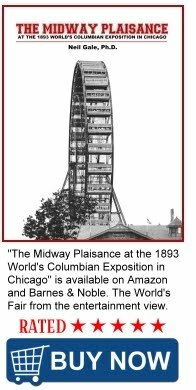 PRESENTED BY THE LIVING HISTORY OF ILLINOIS AND CHICAGO® COMMUNITY. Simple theme. Theme images by luoman. Powered by Blogger.